American Muslims Become the Presidential Primary Wedge Issue. With all the attention on Trump and the other Republican candidates for President making Islamophobic comments, one would think that the rise in attacks on American Muslims and Islam just began in the last few months. But 2015 will be remembered as the year that began with three young Muslims being killed in Chapel Hill and will end with attacks on Muslims and mosques at record highs. There have been any number of articles in the press pointing to the rise in attacks on Muslims since the Paris and San Bernardino shootings, but those incidents only encouraged an upward spike in a trend that had been simmering all year long. 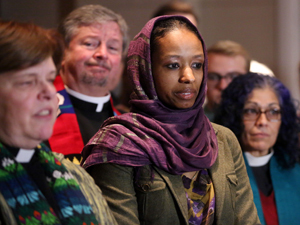 This year has been the worst year on record for American Muslims since 9/11. Currently, the 38 suspected hate crime cases are 2.94 times the average monthly rate seen from 2010-2014. There have been 63 recorded attacks on mosques (17 in November alone) with the previous high of 53 in 2010. Muslims were the target of 154 hates crimes in 2014. The total number for 2015 is expected to surpass last year’s total. “Islamophobia” has come to be used for any anti-Muslim or anti-Islam bigotry or prejudice with the assumption that it is always religion-based. The difficulty with the term is that it simplifies the multiple causes that can make up anti-Muslim speech or actions. Islamophobia can certainly have a pro-Christian, anti-Islam religious expression that dates back to the hostility of Christian leaders in the 6th century to this new religion. Some of the Christian Right attacks on Muslims have this archaic tone to them and usually involve insulting the Prophet Muhammad. Pamela Geller’s “Prophet Muhammad cartoon contest” in Texas reflects this thinking. But there also is a political power-based component to Islamophobia that originated from the early Christian empires being challenged by the political growth of Islam. The equation in the media between “Islamist” (used to describe the Justice and Development Party governing Turkey as well as ISIS), “Radical Islam,” “Jihadist” and “Islamic Terrorists” – all tend to make any Islamic group that seeks power in any way the same. In our modern world, many have suggested that “Political Islam” is the biggest threat to the West replacing Communism. But it’s important to remember that some “Islamists” are acceptable to the U.S. because they are allies and support American foreign policy goals. Saudi Arabia is the most obvious example. This year the U.S. had no difficulty supporting a Saudi led coalition in Yemen that has been accused of huge numbers of civilian casualties in their fight against the Houthis, who are supported by another form of “Political Islam” – the Iranians. Islamophobia also can express racism. As Evelyn Alsultany states in Arabs and Muslims in the Media: Race and Representation after 9/11, many Americans equate Arabs with Muslims (even though many are Christians, Jewish, or secular). There were numerous incidents especially on Southwest Airlines in November and December of Muslims and Arabs being removed from planes because fellow passengers said they felt “uncomfortable.” There was no indication Southwest Airlines was ever reprimanded for supporting this racist profiling of their passengers. There is also a cultural and “Other” component to Islamophobia where Muslims are perceived as having a different culture than the “typical” American. The fact that what is seen as “cultural difference” has often little to do with religion; the cultural difference is attributed to Islam. Twenty-five percent of American Muslims are African-American and the majority of those have been in America longer than the Islamophobes. The U.S. has a long history of anti-immigrant, xenophobic movements that have targeted each new generation of immigrants and political parties have taken advantage of this fear and hatred of the stranger. But each group, whether it was the Italians, Germans, Irish, or Catholics, has slowly been “accepted” as they were perceived as having assimilated into American society, embraced “American values” and especially because they were white. It can be argued that Black immigrants, just like African-Americans, have never been fully accepted. The multiple elements of Islamophobia, particularly the racist and cultural aspects, suggest that Muslims will also be in this same category. It will take specific laws to legally force Americans to provide them equal rights, especially in the area of freedom of religion. The last year saw an intense combination of all of these facets of Islamophobia – the religious, political power, racist, and cultural – rise into a crescendo of hate crimes and attacks on mosques during November and December. The year began with the fallout from the Charlie Hebdo attack in Paris on January 7, 2015. This would be the first of two attacks in Europe by Muslim extremists that would result in increased attacks on American Muslims even though there was no threat to the U.S. This is the first trend in 2015 that increased Islamophobia: When there have been no major attacks by a group of Muslims on the U.S., act as if an attack in Europe was an attack on the U.S.
attack on Western civilization and values by the Muslim world. When an event like this happens, there will always be statements made by some politicians that all Muslims should not be blamed for an attack by three people, but it will be their actions that will show the sincerity of their statements. After the Charlie Hebdo killings, there were understandably French soldiers dispatched to guard Jewish synagogues and centers, but none of those soldiers protected the mosques and Islamic centers that were coming under daily revenge attacks. 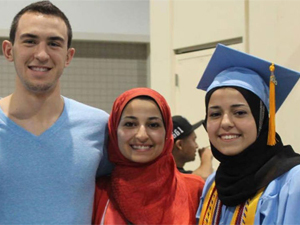 A little over one month later on February 10, three young American Muslims, Deah Shaddy Barakat, Yusor Mohammad Abu-Salha, and Razan Mohammad Abu-Salha, were shot to death in Chapel Hill, North Carolina. Two were women who wore the hijab and were clearly identified as Muslims. The media initially focused on the local police department report of a “parking dispute” between the three young Muslims and the shooter. It took a concerted social media campaign #ChapelHillShooting for the media to even begin covering the murders. The shooter, Craig Hicks, was charged with “three counts of first-degree murder and a count of discharging a firearm into an occupied dwelling.” Multiple civil rights and faith-based groups had to send a letter to Attorney General Eric Holder before the Justice Department’s Civil Rights Division, along with the U.S. Attorney’s Office for the Middle District of North Carolina and the FBI, opened “a parallel preliminary inquiry” to determine whether any federal laws, including hate crime laws, were violated. The FBI completed their report September 9 and the U.S. Attorney’s Office in the Middle District of North Carolina is still apparently reviewing the report to determine what next action to take. This is the second major trend in Islamphobia for the year: Attacks on Muslims are not taken seriously and are perceived as being done by loners. The FBI is more involved in surveillance of Muslim communities than in protecting them from attack. On May 4, Pamela Geller, characterized as “the anti-Muslim movement’s most visible and flamboyant figurehead” by the Southern Poverty Law Center, sponsored a purposefully provocative “prophet Muhammad cartoon contest” in Texas. When two ISIS sympathizers took the bait and arrived with weapons, they were shot and killed. Most of the media focused on these men being a “sleeper cell” for ISIS, with little attention paid to Pamela Gellar purposefully trying to be offensive and spark a violent reaction so she could prove her “point” – that all Muslims are violent. Islamophobe Pamela Geller had previously been on the fringes of public view until 2010 when she helped lead the “Ground Zero Mosque” controversy. As Deepa Kumar points out in her book Islamophobia and the Politics of Empire Islamophobes moved from their initial campaigns against Muslim community centers and schools in 2003 into the full public sphere with the assistance of more “liberal Islamophobes” who built on the media furor over “homegrown terrorism.” Pamela Geller would be assured to gather media attention and confidant that she could easily turn the attention to the ISIS sympathizers in our midst. 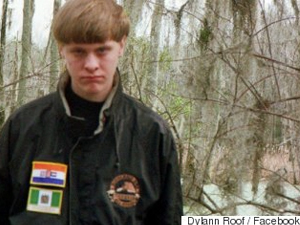 Dylann Roof with Apartheid-era South African and White-Rule Rhodesia flags on his jacket. This was one of the major events of 2015 demonstrating that there is an element of racism in Islamophobia and a denial that anyone can be a terrorist other than a Muslim. As Americans have experienced the shootings in San Bernardino just three weeks ago, it is easy to forget that calls from people like Donald Trump, the leading Republican candidate for President, to halt all Muslim immigration to the U.S. occurred on December 7, two days before the San Bernardino attacks on December 9. In fact, Trump was already making similar statements back in August. Trump suggested on August 21 that it’s easier for Muslim immigrants to enter the U.S. than Christians fleeing ISIS. This was the beginning of another element of the mainstreaming of Islamophobia – i.e. multiple political figures in positions of power, governors, senators, and representatives were saying that a group of refugees should not be admitted to the country because of their religion. Later when it was pointed out that some Syrians were Christians, even “moderate” political figures like Jeb Bush said that only Christian Syrian refugees should be admitted. It’s important to point out that there was a lot of reported criticism of this position from other politicians including President Obama, but there was no public groundswell of outrage that these individuals should step down or that what they said was so outrageous. The governors of thirty-one states took an Islamophobic, racist position based on little to no evidence and nothing happened to them. Imagine if thirty-one governors had said we are only going to accept white South African immigrants or only Muslim immigrants from Nigeria (because the mainly Christian Nigerian army was accused of a massacre of Nigerian Muslims). The reaction would assuredly be very different. It is also easy to dismiss people like Trump as extremists who the majority of Americans don’t take seriously, but after relentless media coverage of Trump and other Republican candidates with similar Islamophobic positions there is a significant impact on the general public. 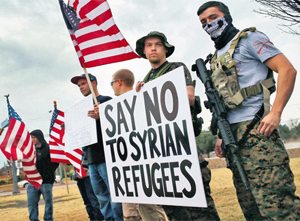 A recent national poll showed six in ten Americans don’t want the U.S. to allow Muslim refugees from Syria into the country. As an American by-product of the post-Paris attacks, on November 21, a number of armed self-styled “patriots” turned up with guns at various mosques across the country to actively intimidate Muslims as they went to pray. Although this was clearly intended to terrorize Muslims practicing their faith, no one was arrested or charged. As mentioned above, a large number of mosques were physically attacked during 2015 so a comparison to an armed group of KKK members surrounding an African-American church in the 1960s would not be out of line. America has a history of bringing up populist or wedge issues during election cycles, especially during the presidential election period. Earlier it was abortion, gay rights, and immigrants from Mexico. This year equating all Muslims as potential if not actual terrorists has been a political goldmine for candidates like Trump, Cruz and Carson. This focus has led to national security being the issue of biggest concern for Americans in recent polls. Instead of healthcare, the economy, gun violence, the political dysfunction in Washington, DC, or more importantly the institutional racism in the criminal justice system highlighted by the Black Lives Matter movement, national security has been boosted by the media to be the electorate’s top issue. Given that the actual number of attacks on the U.S. by Muslim extremists in 2015 has been small – the acceptance of Islamophobia in the mainstream has exacerbated this politics of fear. Since 9/11 almost twice as many people have died in attacks by right-wing groups in America than have died in attacks by Muslim extremists. The last major trend and one that may be the most disturbing is attacking civil rights organizations that are working within the system to fight back against Islamophobia. There has been a concerned effort for a long time to demonize the Council on American Islamic Relations (CAIR), the largest civil rights organization for Muslims in the country, by suggesting it supports terrorists. 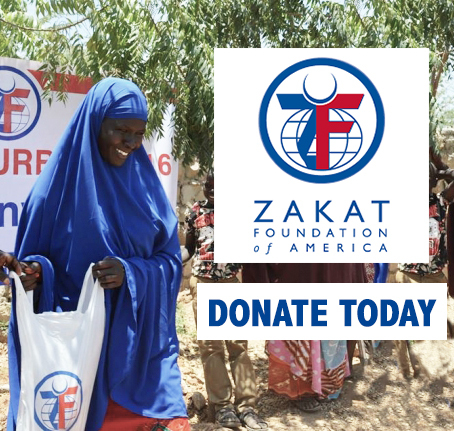 During the Holy Land Foundation case in 2008, CAIR) along with 300 other organizations and individuals were listed unfairly as “unindicted co-conspirators.” They were never charged with any crime, but suspicion was thrown over them just the same. Any commentator or politician like Carson who wrote that they should be investigated is basing it on this long ago discredited accusation. So not only are American Muslims victims of multiple acts of Islamophobia, but the largest organization to provide legal protection is being smeared. Again one can only think of the FBI’s charge that Martin Luther King’s organization, the Southern Christian Leadership Conference,(SCLC) was made up of Communists. Many students at the school and elsewhere decided to wear the hijab to show their support for her and for Muslim women under attack. Nomani and Arafa also set their sites on CAIR. “Staff members at the Council on American-Islamic Relations, which has pressed legal and PR complaints against U.S. companies that have barred employees from wearing hijabs on the job, has even called their organization “the hijab legal defense fund.” Instead of being a civil rights organization that fights all forms of discrimination against Muslims, the authors deride CAIR’s efforts as limited to defending women wearing a hijab. The two Muslim authors certainly have a right to their opinion, but they present it as if they are speaking for all Muslim women. It also seems particularly egregious to criticize women of other faiths who are trying to fight this anti-Muslim atmosphere and to also continue the attack on CAIR, one of the organizations attempting to defend the American Muslim community. With this list of events continuing throughout 2015, what made Islamophobia mainstream this year? Even with the murders of three young Muslims; armed men threatening Muslims at worship; record number of attacks on Muslims and mosques; the majority of Republican presidential candidates and of state governors taking anti-Muslim positions – there has been no major public outcry; no blistering speech by the President condemning this wave of Islamophobia; and no Department of Justice or FBI broad investigation into anti-Muslim attacks. The American-Arab Anti-Discrimination Committee (ADC) called on Donald Trump to end his presidential campaign. The group argued that Trump’s call for a temporary ban on Muslims entering the United States proves he is not fit to lead the country. “With the enormity of the challenges we face as a nation, it is imperative that Trump end his campaign,” ADC President Samer Khalaf said in a statement. “His words have led to violent acts of hate, and it is clear that he is not good for the country. “ But of course their very reasonable statement was completely ignored by the candidate and the rest of the media. So why did Islamophobia go mainstream this year? For those seeking political power in the country, the unique combination of the many facets of Islamophobia – religious, political, cultural, racial, immigrant bigotry – has all come together in a toxic stew. The political leaders of the country, including the President, have failed to lead against this hatred that violates every American value of equality and freedom of religion. It is no accident that this atmosphere of fear and Islamophobia has taken over the country at a time when activists in the Black Lives Matter movement have forced the country to face the institutional racism in the criminal justice system. What better way to refuse to deal with that problem than to just shift to a new target of bigotry and racism – American Muslims. Nothing like abject surrender to make the Liberal heart beat with longing. Islamophobia and rightists must be suppressed if the nation is to survive. Rightists are an existential threat to our country.